It is very important for preppers to store water, but sooner or later your family's stored water will run out, so you will need to collect water. There are many methods of collecting water for your family to use. One of the easiest ways is to collect rainwater. In most cases, rainwater is ready to drink. One way of collecting rainwater is to use a blue trap. Now, you don't have to use a blue tarp; you can use a sheet of plastic or a poncho to collect the rainwater. First, you will need to collect your supplies. You will need a sheet of plastic or a tarp, 4 pieces of strong string, four poles/posts, and a bucket. Pretty simple especially if you click on the picture on the left for a larger view. To build, sink the four posts into the ground. You need to make sure the posts go in pretty deep. The posts and the string will have to hold the weight of the rainwater and also survive any wind gusts. Next, tie the two high corners to the post with strong string. I used 550 cord. You don't need to use 550 cord; any strong string will work. After that, tie the tarp's two lower corners to the posts. Notice I tried to form a 'V' at the bottom. The 'V' directs the water into the bucket. You don't need four poles; you just need four places close enough together to tie the string to hold the tarp up. I have used trees (watch out for leaves and sticks), a fence and two poles, and ... your imagination. As I wrote in the article, you can use a poncho, sheet of plastic, metal roofing, or anything that can be cleaned enough to collect water. Be reasonable with your imagination; you don't want to use anything dangerous that will leech chemicals into you collected water. Kiddie pools, food-grade 5-gallon buckets, a hole lined with another tarp are some of the things that could be substituted for a bucket. Heck, if you don't mind getting wet, you could fill individual canteens as the water flows down the poncho. 550 cord, shoe laces, an electric cord from a lamp are some substitutions. If you use wooden poles, you could use nails to hold the tarp to the poles. Lastly, if your plastic sheet or tarp doesn't have holes along the edges (grommets), you will have to use a technique I learned from M4040's "Tarp Shelter" page. First, lay out your tarp. Next, put a stone or rock in the corner. Then tie it to your post. Yes, I know; I used a bed sheet for my explanation but it works for plastic sheeting, too. A reader asked my thoughts on worst case scenario bugging out – on foot using Bug out Bags (BoB) and having to carry small children. In the past I’ve written about BoB outfitting with children in mind and strollers and trailers for that purpose, but not baby or child carriers. Our plans are nothing special in this regard; if we had to bug out on foot (no stroller/trailer), my wife would use a Baby Bjorn carrier (on first, goes to the front) to carry our youngest child in front, and a normal day pack (on second) with mainly food and baby items. Pack on last in-case it needs to be removed fast to run/hide. I would have our main BoB (meant for all of us-inventory not current!). Our other child could walk some, but I’d have to carry as well. This would be slow going, perhaps 3-6 miles per day. We’ve used the Baby Bjorn quite a bit and like its functionality and simplicity, but probably most other brands are similar. In an emergency situation you could probably modify a day pack to serve as a baby/child carrier with a few holes cut and some extra padding (but be careful not to cutoff circulation). The reader specifically mentioned the Performance Ergo Carrier, which looks like a great buy and is able to accommodate toddlers and small children as well as infants (with an insert). There are also backpacks for carrying children, some of which also have cargo areas. I think if we were to buy a specialized pack, it might be one of those (see REI for examples). The can get pricey (though the Kelty’s look very reasonable) and may not be for infants under six months or so. I don’t have any specific recommendation on packs except to carry more than just the child if possible, at the very least a fanny pack with the bare minimum emergency supplies should you become separated from your significant other. Things to consider when selecting a pack system; how much the person carrying the baby/child is able to carry, if they prefer front or back carry, and what sort of other gear (if any) they’ll need to carry. Any ideas for trade goods post SHTF? Food, ammo, etc. are easy to think of, but any others? 5. That Iodine that protects the thyroid from radiation...Iodoral? 6. Still materials...copper pipe, burners, etc. Much of this can be bought now, and cheaply but would be impossible to obtain PSHTF...any other ideas or inputs? I first read about this product over at What If It Is Today. I decided to check my local Wal-Mart and sure enough they carried the same product. A dental problem after TSHTF would be quite a problem and for most – there just will be little to be done about it but suffer. This small kit might under – the right circumstances - provide some relief. An additional item such as Anbesol would also go well with some dental supplies. DenTek Temparin Max Lost Filling & Loose Cap Repair Designed to repair with the same ingredients dentists use. This is a temporary remedy meant to replace a lost filling, cap, crown or inlay until you have a chance to visit your dentist and should only be removed by a dental professional. To replace a lost filling: Wash the cavity area with warm water. Scoop a small amount of temparin max from the vial, and roll into a ball between fingers. 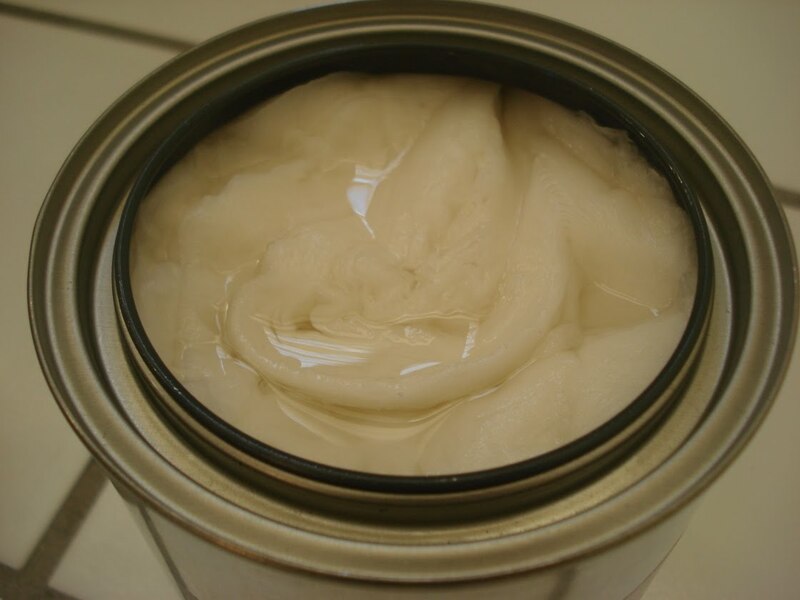 Slightly over fill the cavity with Temperin max and tamp into place with a cotton swab moistened with water. Close your teeth together, as if you were biting down on a piece of paper, and gently chew or grind on the replaced filling a couple of times to create a comfortable bite. Use a moist cotton swab to remove excess Temparin max from around the area. Moisture will accelerate the set. Temparin max will set softly in your mouth within a few minutes, but avoid chewing on the repair for 2 -3 hours to allow the material to fully set. To secure loose crowns, caps or inlays: Try the crown, cap, or inlay first to see if you can fit it accurately back onto the tooth surface. If you are not able to do so, then do not proceed further. If the crown has a post attached to it or if there is tooth surface remaining inside the crown, Temparin max may not adhere. Carefully rinse the tooth area and the inside of the crown, cap, or inlay with warm water, and do not dry. Scoop a small amount of Temparin max from the vial, roll into a ball between fingers, and place evenly inside the crown, cap, or inlay. Place the crown, cap, or inlay on the tooth and bite down, apply pressure to push into position. Temparin max will begin to harden within a few minutes, but avoid chewing on the repair for at least 2 -3 hours to allow the material to set. Use a tooth brush to gently clear away excess material from around the crown, cap, or inlay. It is highly recommended that all dental “needs” be taken care of now – while it is still possible. I now have this DenTek Temparin Max as part of my medical supplies along with some Anbesol. I hope I do not have to use either. © 2010, ModernSurvivalOnline.com. All rights reserved. I decided to create a few “survival cache’s”. First – what is a survival cache? 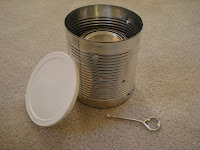 Generally, a survival cache is a buried or hidden container that is filled with supplies that can be accessed when needed. Why would I want to have a cache? Well, pretty much all of my supplies are located within my home. If something should happen and my home was destroyed or I was forced to leave it – the amount of supplies available would be diminished greatly. Should my home be destroyed – all would be lost. If evacuation was necassary – limited supplies would need to be taken. Is it time to "Get Outta Dodge"? Where to put them? Well – I am not going to tell you where mine will be going. I will tell you where a survival cache can be put. Often they are placed on your property hidden via burying. They are also placed along evacuation/bug out routes to be accessed when needed during traveling. Whether buried next to a “unique” tree or in a totally vacant field – it is very important that you can find your cache when needed. A GPS is ideal as you can program the location of the cache as a way-point in the navigation system. Special marking at the location can also be used – such as spraying yellow paint on two tree’s to mark that the cache is in between them. Just be careful that however the cache is marked – that you will be the only one to recognize its significance. The supplies stored in the cache depends on the size of the container. 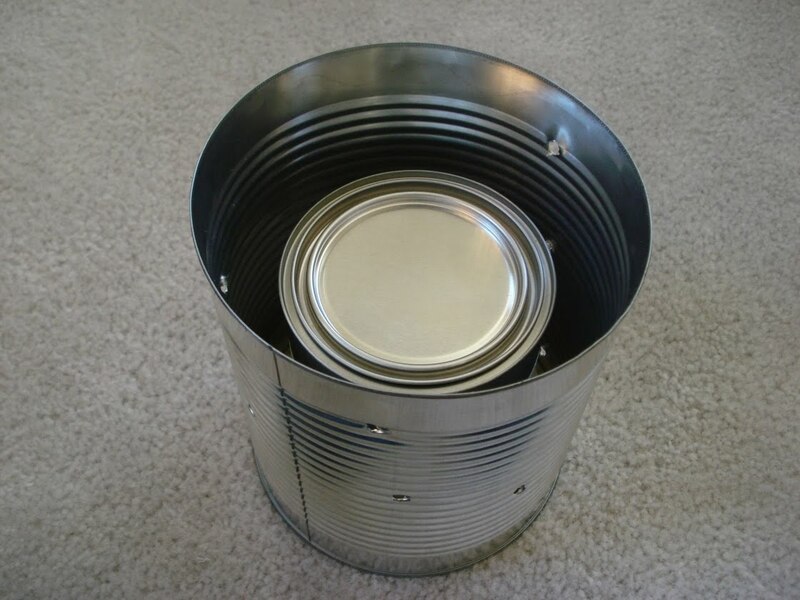 What container to use for the survival cache? Common containers are homemade PVC enclosed tubes. Inexpensive and simple to make – components are available at your local Home Depot of Lowe’s store. It is very important to silicone all of the pieces together to make sure it will be waterproof. If your supplies are running low – if you are evacuating your location – knowing of those supplies in your cache’s are available will be very comforting. We are living is volatile times, it seems like every time we turn around we are faced with another disaster. From Natural disasters to financial meltdowns, wars, and government takeovers, we are living through turbulent times that call for us all to be prepared for what ever may come next. Not to long ago people who talked about preparing for the worst were though of as weird and often made fun of by the mainstream media. These days it is becoming more common that the weird ones are those that are not prepared. But what does being prepared actually mean? Does it mean stockpiling loads of gear, food and ammunition or is there something else that people should be doing to prepare for the worst? To me being prepared means a number of different things. Financial Security – It’s great to be prepared for an end of days scenario but what happens when your faced with a foreclosure or the possibility of living on the streets? Is that not a survival situation? To be truly prepared for the worst we must also think of our financial security. That means paying off debt, living within our means and starting an emergency fund. Knowledge - Gear breaks, food spoils and nothing lasts forever. Knowledge is the key to survival. It is the one thing that you can always count on and it’s the one thing that you can’t lose. Health - Now is the time to start thinking about your health. Having gear is great, but if your to fat and out of shape to use it then whats the point? You are the best piece of gear you have, take care of your body! Food Storage – Start stocking up on the basics, you are going to need them anyways so try to buy a little bit extra every time you go to the store. Think about it this way you might not ever be faced with an emergency survival scenario…. but what happens if you lose your job? Having a fully stocked freezer and a cabinet full of food might be just the help you need to make your way through until things get better. Check out our list of foods with long shelf life that you should be buying. Depending on your situation, your location and other personal factors, being prepared can mean a number of things….. What does it mean to you? Suppose something catastrophic happened while your kids were at school. They are there a good part of the day, right? Unless you home school which would solve this little dilemma for you. But the majority of us send our kids off to school somewhere every weekday. What "emergency" would warrant them actually having to stay at the school for longer than a day? There was a school last winter that the kids had to stay the night due to a snowstorm making the roads unsafe, but what situations might warrant a longer stay? Our school is easily within walking distance from our house, so under what circumstances would we not be able to get down there or my kids not be permitted to just come home? This year they are all at the same school, but next year the oldest is headed to the Jr High which is another mile or so farther from the house. Still walkable, but they won't all be together. And once they get to High School, that's about 12 miles from the house in a different direction than the other two schools and they won't all be there together either. Does who is in what school and the location of the school in relation to my house change my plan/strategy and what kind of stuff they might need in their backpack? Probably. What does the school have to take care of their students if there is an emergency? Do the classrooms or faculty have emergency supplies? I know the lunch room is usually well enough stocked to get through a couple of days of feeding kids as long as there was power to cook the stuff. But do I trust someone else to take care of my kids in a situation like that? Or do I want them to have something in their backpack for themselves just in case? Would they ever consider evacuating the school, and if yes under what circumstances, to where, and for how long? Would the kids get expelled or something ridiculous if they were found in possession of a firestarting kit? I guess my main question is if there is even a need for them to have gear in their backpack since the school is so close and our family plan is for mom or dad to come get them at the school if something happens. I just like to have options and give them security. I'm not home all day every day, so in some situations it might take a while for either me or dad to get to the school. What do you think? And if you would or do send survival gear with your kids to school, what should be included? Sometimes the littlest things can cause the biggest problems. I was working around the house and was moving somethings around in the shed. I picked up a fishing rod and the hook broke free and jabbed me in the finger. The puncture was so small I thought nothing of it and kept doing my thing. Two days later my finger ballooned and started throbbing. The end result, as seem in this picture, was for the doctor to rip my fingernail off and lance the bottom portion of my finger in order to allow the infection to drain our of my finger. I've included a link to eHow that discusses how to prevent infections in wounds. With the infections becoming more resilient and less reactive to antibiotics this is something everyone, including myself, should take more seriously. If you like reading about barter goods, you will find more articles here. During a crisis or collapse, many would have to resort to barter. Barter has been discussed back and forth with everyone throwing in their two cents on what would be good barter items. Cigarettes. Keep in mind that they do turn stale. Additionally many less people smoke today than sixty five years ago, on a percentage basis. Store tobacco seeds and then grow it after the SHTF. Soap. This is going to be one of the things that everyone forgets about, (probably because of its non-glamorous nature) or does not have enough of. I would rather stock lots of bars than try to make it. Chocolate. Definitely! There are hordes of sugar addicts today. Take a look at the candy aisles at Wal Mart. If they were not selling all that junk, it would not be there. Stock lots and lots of chocolate! And sugar! Learn to be a Bee keeper. Of the three items, using a contrarian viewpoint, soap would be the best item. How many times have you read that someone is stockpiling bars of soap? Hardly ever. Stock the item that will be in short supply and high demand. If you liked this article please visit: New Dawn Survival. I want to thank Andrew for allowing me to post this at his website. In a long term emergency, people will not have the time to leisurely work in the garden. 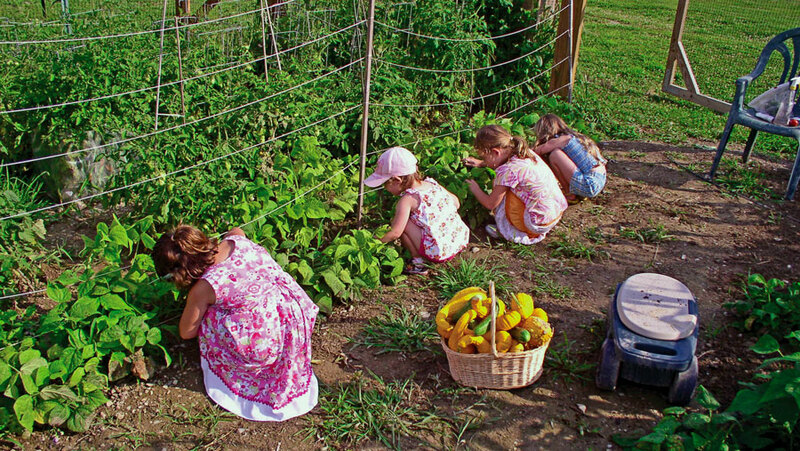 Instead, they will be gardening for survival, along with a long list of other daily survival chores. Survival gardening will be labor intensive, and large amounts of energy (sweat) will be needed to have the garden produce enough food for the present and enough to put away for the future. In exchange for your energy and time, you will want a survival garden that will provide your family abundantly with food. Keeping certain factors into consideration before starting a large scale garden will help you get the most out your time and energy, provide you and your family with the healthiest vegetable varieties, and help you find the easiest types of vegetables to grow. A survival garden should incorporate dependable and easy to grow vegetables that produce more than one harvest or bears more than one fruit per plant. The vegetable varieties should be types that the family will eat. It’s not worth the trouble of growing this food if your family will not eat it. Grow vegetables that have high amounts of nutrition and vitamins, as well as finding varieties that possess medicinal properties. According to medical experts, green vegetables such as broccoli, Brussel sprouts, Lima beans, peas, asparagus, artichokes, cauliflower, sweet potatoes and carrots are some of themost nutritious vegetables in the world. Find varieties that grow naturally in your area. Environments where plants grow naturally mean that less time and effort will be needed in raising them. Need for excessive fertilizing to produce decent sized produce is a waste of precious resources. There are exceptions to this rule of course. Such as, if the fertilizer used will help the plant produce many fruits or vegetables. If space is limited, plants that take up as little space as possible, but produce abundantly will make for a good investment. Furthermore, finding gardening techniques such as the Three Sisters also makes good use of space. If fuel is needed to harvest vegetables, the noise could be an indicator of a thriving homestead, and an OPSEC nightmare. As a result, the home could be frequented by unwelcome guests. Additionally, this type of farming method would consume large amounts of fuel. Find vegetables that can do well for storage. Vegetables such as potatoes, onions, and root crops like beets and carrots that store well can be used when the weather is too cold to grow. Varieties that serve more than one purpose is also an efficient use of space and resources. Varieties such as root crops or broccoli leaves are varieties where the greens can be fed to livestock. In addition, some survivalists agree that yellow dent corn has a multi purpose use of making grain and feeding livestock. But this crop requires a large amount of land, resources such as fertilizer, and energy to grow this plant to fruition. Preppers that are stocking up on non-GMO or heirloom variety seeds to grow, should also have adequate knowledge in gardening skills to get these varieties to produce vegetables and fruits. However, before a survival garden is started, sitting down and planning the garden and considering different factors will save headaches later on. Likewise, researching how much food a family will need and how much of the time/energy yield will be needed to produce these vegetables is a valuable use of time. Also, keep in mind that you know your family best. You know what they eat, you know what they will not eat. Come to your own conclusions as to what type of survival seed varieties are best suited for your family and the environment you live in. hearty pink cheeks held big smiles. "Lookit, lookit!" hats and gloves. So they would be dry for the next time. there was a snowman. They must have worked hard, at that. thing the laundry was done. work was closed, until the electricity came back on. centers in a couple of the schools and public buildings. But, there was little they could do without electricity. ran out. The government food ran out very quickly. hugged her. Such a gentle spirit. was unmistakable. His truck was being towed. flint. After several minutes of scraping, still no fire. But, he had managed to cut his thumb, on his left hand. There are a number of situations for which you may need to alter the "standard" preparedness information you read or learn. Not every piece of survival advice applies to every family or each individual, and some can even be dangerous in certain situations. Here's a list of 7 of the more common "kinks in the plan" you may need to consider in your preparations. Remember these don't just apply to you, but to those you will be caring for also, especially your family members. 1. Food allergies or inability to process certain foods. This includes things like gluten intolerance and nut allergies. I know a guy who cannot eat green peas or corn. It causes all kinds of gastrointestinal distress, so guess what's not in his extended food plan. 3. Mobility issues. Crutches? Wheelchair? Make sure there's a plan in place for emergencies if you have specific limitations on where you are able to go and how you need to get there. 5. Infants. Babies require a lot. They need specific foods for proper nutrition and growth. They are more susceptible to illness and they need protection from the elements in a way that adults don't. Oh, and they need diapers. Lots and lots of diapers. I know that's just a short list, but you get the idea. 6. Toddlers/small children. These little folks need some special care in your preparedness plans also. They'll need parents/guardians who can help them remain calm. They'll only eat certain foods (if they are your kids, you'll probably know their favorites) and don't understand that if you don't eat you don't live, so may be willing to not eat your magical food storage creation because it is strange or different. They also need protection from the elements similar to babies. And you may have diaper needs here or potty training regressions in an emergency situation also. So there are some of the more common special situations that you'll want to consider when you're making your survival plan. I know we just touched lightly on each of these--we'll probably discuss them in more detail in another post. And you may have other issues you will need to deal with. What are your family's special preparedness considerations? and pale. The daughter asked where was the bathroom. Butch's wife woke up, with much the same question. most out of it, until Dad came to his senses. to have matches or lighters. He opened his wife's pack. were wrong, but nothing seemed to be gettting better. there seemed to be precious little recovering going on. cellar. If they used everything carefully. The Samurai Sam web site had focused mostly on weapons. ammuntion. But, most of his prep money went into food. kids said it felt warmer when the wood stove was going. eaten cold. But, they were so much better when warmed. Butch tried to remember which direction was the truck. noticed, and suggested he take one of his heart pills. of the woods. Looking out over the snow was blinding. to see. What was that? No! It couldn't be! Darkness creates a fear that is unique. It seems that we always fear that which we cannot see and when it is hidden by darkness our fear grows even more. Many people seldom experience true darkness but it can be discomforting all the same. With the darkness can come danger, many of these dangers are real and some are merely products of our own imagination. The darkness can also be your friend. The darkness signals the end of the day and the beginning of a time for rest so that our bodies can renew their energy. It can also come in the form of shade that protects us from the harsh light of the sun. It can also hide us from unwanted attention and allow us to remain unseen and undetected when the need arises. There is a quiet comfort that can be found in the darkness, darkness which is a part of nature and one that is often misunderstood. Our natural instincts make us seek a source of light almost immediately when the darkness suddenly comes upon us. We don’t see very well in the dark and will quickly seek any source of light available to banish that darkness. A candle, a flashlight or the simple flip of a switch is used to turn the darkness into light. Yet many times we fail to realize our own unique abilities. We have a very unique ability when deprived of one of our senses. There are a lot of people known as “night owls” who seem to thrive and are often most comfortable at night. They seem to prefer the darkness of night and find it a more comfortable place for them. They embrace the darkness as a part of nature and have become comfortable with its presence. While some people stumble around in the dark, others will quietly move through the darkness as if it were a walk in the park. Our other senses will begin to compensate for that which we lack. What we cannot see can often be heard or smelled as our other senses becomes more acute so that we can banish the darkness and overcome our fear. The next time the power goes out or you can’t find your flashlight try taking a walk in the dark. To hear sleigh bells in the snow"
"With winter right around the corner, it's never too early to start preparing for snowstorms, icy roads, and other types of severe weather," says FEMA Administrator Craig Fugate. "Whether you live in an area that is used to severe winters or not, there are three simple steps all Americans should take to get ready: put together an emergency supply kit, develop a family communications plan, and stay informed about the risks and emergencies in your community." 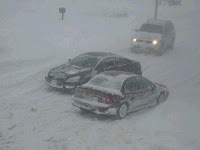 For helpful tips and recommendations see http://www.Ready.gov/america/beinformed/winter.html. The National Oceanic and Atmospheric Administration (NOAA) outlook forecast is that the Pacific Northwest could have a colder and wetter than average winter, while the South may be warmer and drier than usual. Severe winter weather can include snow or subfreezing temperatures, strong winds and ice or heavy rain storms. An emergency supply kit both at home and in the car will help prepare people for winter power outages and icy or impassable roads. Have adequate clothing and blankets to help keep you warm. A couple of weeks ago, I gave you some tips on Deliberate Water Storage. I would like to add some more information. First, any #1 or #2 plastic beverage bottle will work; color doesn't matter. As you can see in the picture to the left, I have three soda bottles, two water bottles, and one Gatorade bottle. Next, if you can, use only clear plastic beverage bottles. I know, I just said any color will work. That's true. A clear beverage bottle will allow you to easily see the water in the bottle. When a bottle of water is exposed to light, any light, algae will start to grow. The algae will give the water a light green tint. In a green or blue bottle, you won't notice the water change color. Next, I used a clean 48 quart cooler to disinfect my containers. First, I washed the cooler with soap and water, rinsed really well with tap water then filled with tap water. 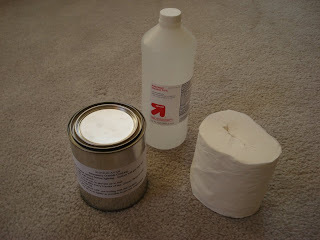 Next, I added 12 tablespoons of bleach, since 48 quarts equals 12 gallons. If you are using your sink to disinfect bottles, you need to wash the sink with soap and water first, rinse, then fill with water and add bleach. Just like above, but watch your amount of chlorine. Remember, 16 drops of bleach for each gallon of water. After you make up the sterilizing solution, you need to submerge the bottles and caps (don't forget the caps) in the bleach water for 30-minutes. Make sure there are no air bubbles in the bottles. Air bubbles will allow microorganisms to survive. Yes, this includes the little itty bitty bubbles that seem to form after you have walked away because you have better things to do then look at bottles soaking in a bleach solution. Next, a full five-gallon container will weigh 40 pounds (18 kg). You will need an adult or an older teen to carry it from place to place. A 2-liter bottle only weighs 4 pounds (2 kg), so a child could carry the bottle for you. In the above photo, there are three 5-gallon containers, two jugs and one bucket. The blue jug has a neat feature. It has a spigot that is stored inside the cap, but there is a problem with the design. The cap has a recess that allows dirt and dust to collect in the cap. To stop the possible contamination of the cap/spigot from dirt and dust, I placed some tape over the recess in the cap. Lastly, you are going to need something to remove the water from your jugs and/or buckets because a full jug is hard to empty when it is full. The pump on the left; I bought from Walton Feed for about $13. (You have to download the catalog then search for "pump") The pump on the right; I bought from our local farm and home store for about $3.00. SLOWLY pour rubbing alcohol over toilet paper until covered. Cover tightly with lid. Tap it down with a rubber hammer and it won't leak. 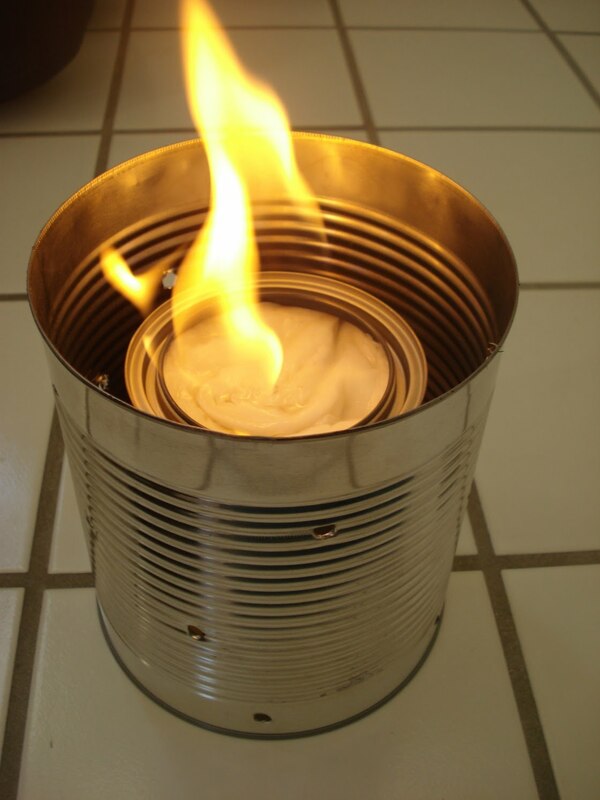 The first page of this PDF is a printout of the Stove in a Can. 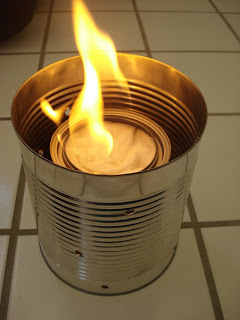 You can cut the bottom off and glue it to your can for future reference. Here you can see how the stove (the small can) can fit inside a #10 can. Your cooking pan will fit right on top. Make sure your #10 can has enough holes for ventilation. The PDF pictures shows a 12 oz can used for cooking. Snap on your lid from the #10 can and it can hold your matches and a small paint can opener. 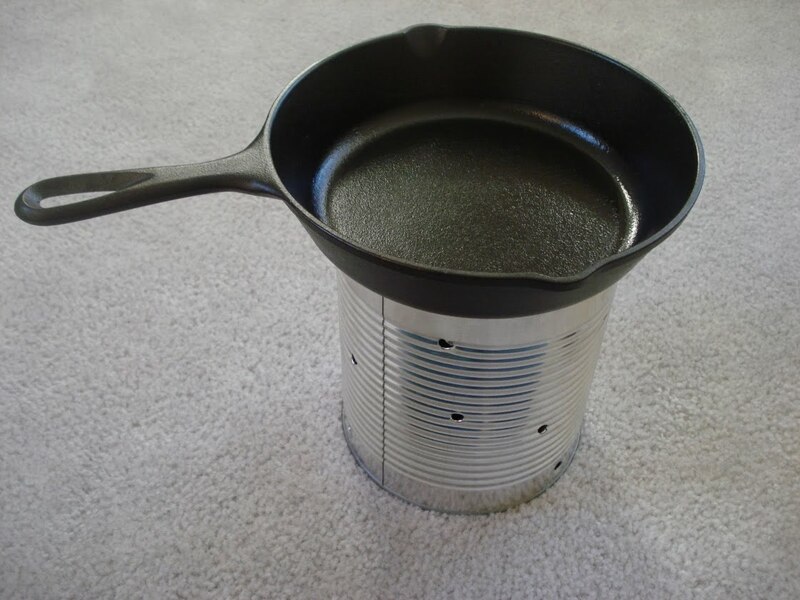 You'll need the paint can opener to get your stove open. Make sure you hammer down your top with a rubber mallet. It will create a seal, so the alcohol won't leak out of your stove when it's being stored. Ever want to be a cobbler? For those of us who never learned the proper manner in which to pack a horse or dog. I must admit this is one of my favorites. The language used is an endless source of amusement. One thing to keep in mind is the age of these tomes. Language has changed a great deal in 150 years. Please take the time to read through them before something goes wrong while you still have the internet available to define such terms as "treacle". I understand that many on here will already know what treacle is, but here in California, I've never heard anyone utter that word except for my late father. Also, I understand that some of the language may prove to be offensive to some. Describing native peoples as "painted savages" is unacceptable today, but again, please take into account the age of the books when you read them. Who is coming to help when the crap hits the fan?